We said goodbye to our hiking buddies in Dintor and to Mr Martin Anggo’s family and set off heading for our next adventure. 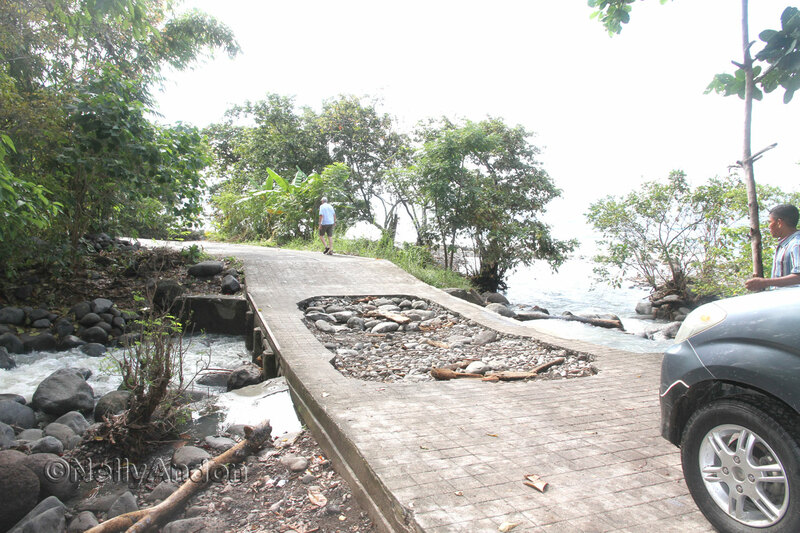 After passing a few large potholes and a very scary looking broken bridge, we came to a small village up the hill toward Todo region. 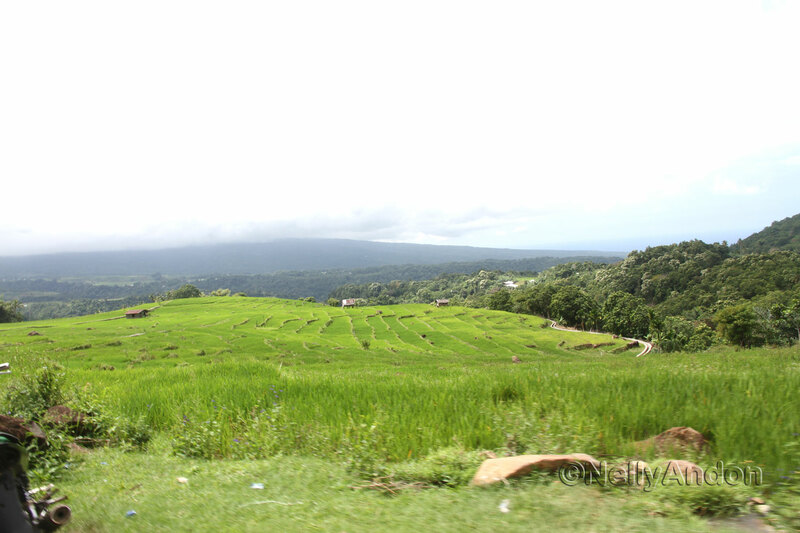 The hills and the paddy fields felt so tranquil and welcoming here and it was very quiet and peaceful. Most people would be in the field on a morning like this, we saw only a few dogs running along the road. 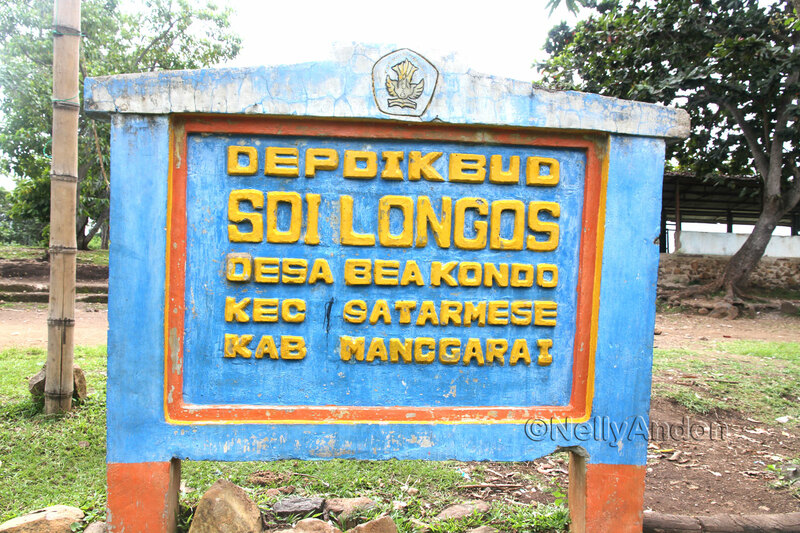 This village called Beakondo, located between Dintor and Todo in the Manggarai region. 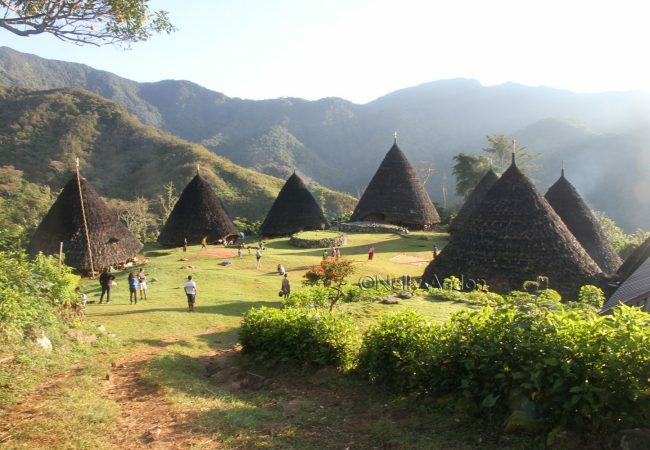 Apparently, there are nice places to visit around here such as Ina Wisata Nanga Woja, Cepu Watu Beach and here on the hills of Beakondo is very pleasant and a great place to walk along the paddy fields. As always, I never waste any moment during my travel, I am always curious about things around me. I told the driver we would like to explore a little around this village. Upon exiting the car, my eyes hit a semi-open bamboo hut, not far from where we parked. 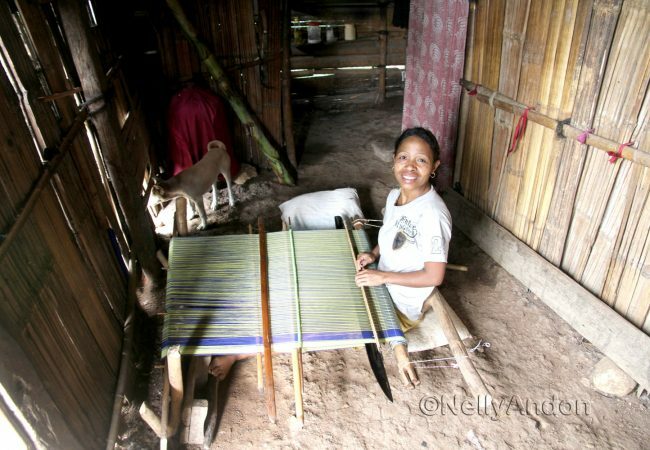 I saw a young lady weaving, and this excited me about the place. I waved to her and she waved back. She gave me very friendly smiles and in Indonesia, I recognised this as a good sign that I was welcomed there. I approached her house and said hello, but she didn’t say anything, just smiled at me. From the yard, I asked her if I could watch her weaving, but she didn’t answer but gave me more approval smiles. 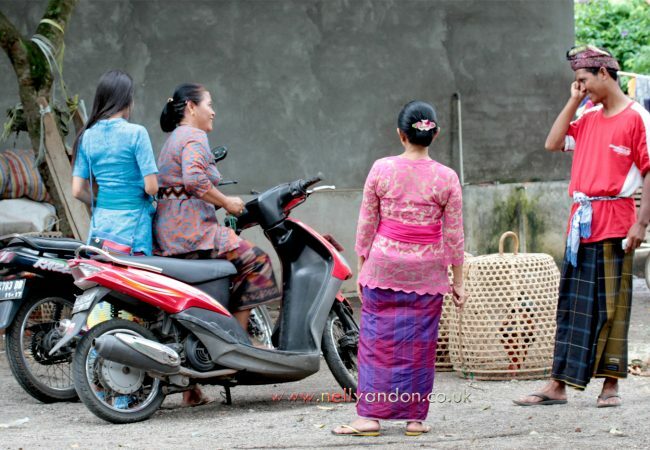 I took it as she may not be fluent in Indonesian, so I just approached her. 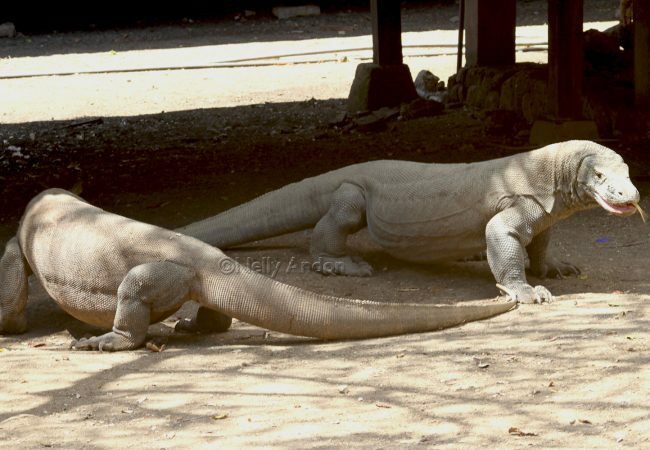 Inside her hut, there was an old man, possibly in his late 70s, was lying on a bamboo divan. I said hello, and he too was very friendly and welcoming. I asked him if I could see the young lady weaving, and he said yes. I sat down next to her, and every now and then we exchanged smiles, but only as far as our smiles, she never said any words during our encounter. The old man was chatting with our driver whilst I continue to watch her weaving. A few minutes later, a young girl entered the house and said hello. After chatting with her, I discovered that the young weaver can’t actually speak, in Indonesia, we call this disability as “Bisu”. Apparently, she could hear me well, but just not able to speak. I was told that the old man who is probably 50 years her senior was her husband. The old man lost his old wife to an illness a few years ago and then later married this young weaver. She looked happy and they probably look after each other well. eeting this young weaver has inspired me in many things, and she proved to me that disability is not inability. How many of us in the world who have everything a normal person has, but not making the most of what we have? I am sad to see young people in Indonesia ended up in big cities and suffer from homelessness and poverty. There are things to be done here in the villages, but they need some directions and advise on how to be successful and prosperous even if they are living in a small town like Satarmese. I wanted to find out more about her and other weavers in the village, but sadly we only have a very short break here before heading to Ruteng. I hope one day, I will be able to visit her again and to meet other weavers there and to understand the traditional textiles of Todo a little better. The pattern of the textile she was working on was very similar to that of woven textiles I saw in Waerebo. If you have any issues related to this blog, please don’t hesitate to contact me. Thank you for your visit today.